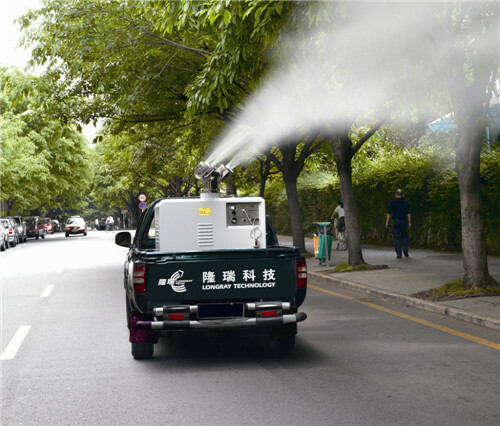 Truck-mounted ULV Cold Fogger LR-4P with excellent atomization, quick diffusion, Truck mounted ULV cold fogger creates dense fog penetrate into spaces and lingers in air for longer time. 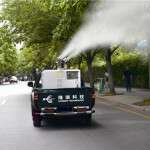 Mounted on truck, small can mount on any vehicle, machine pedestal also equipped with wheel, can pulley while spraying. 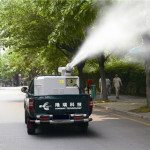 Equipped with remote control system to operate the unit from driver cabin, avoid exposure to chemicals. Manual control type: Swivel 360 degree both horizontally, 180 degree vertically. 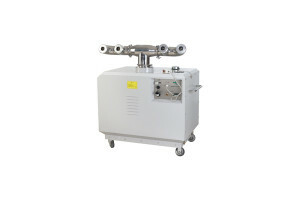 Remote control type: Automatically swivel 360 degree horizontally, 180 degree vertically. 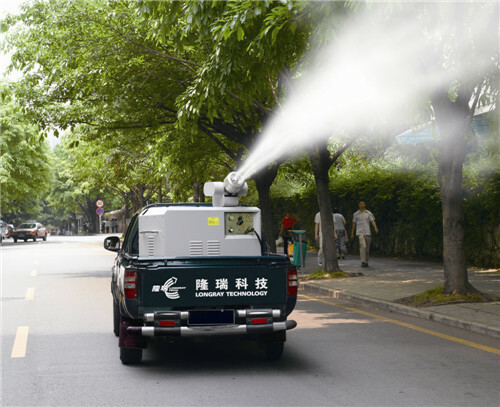 Truck-mounted ULV Cold Fogger suit for spray both indoor and outdoor environment, such as in theatre, stadium, transportation center, greenhouse, garden, etc. Engine Single cylinder, upright, air cooled, 4stroke diesel engine. 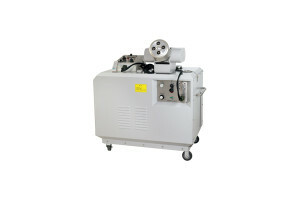 Flow rate 50-300 L/h, adjustable.